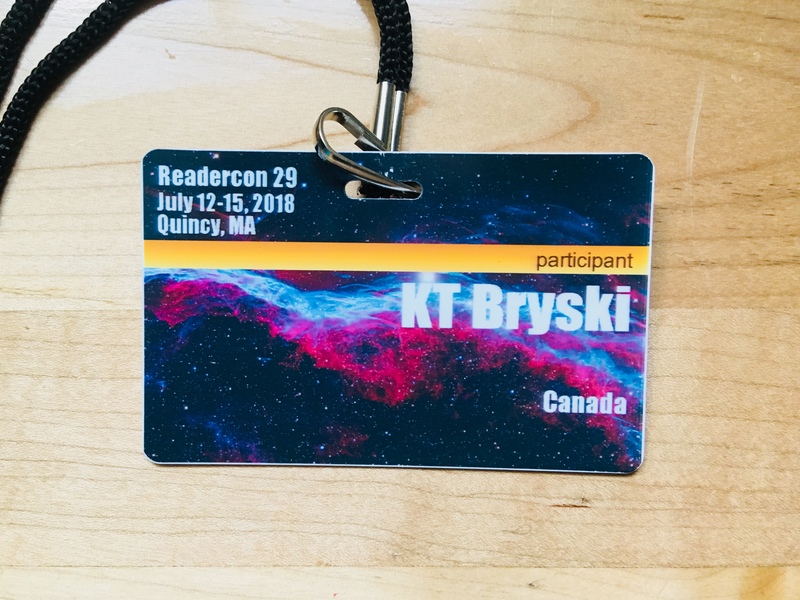 ← ReaderCon Schedule – 2018! 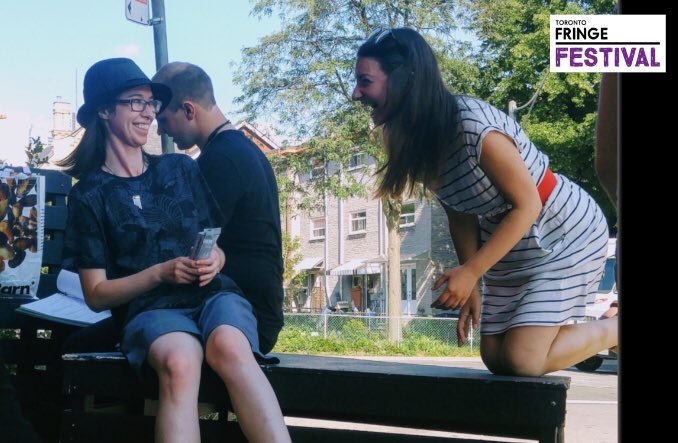 Toronto Fringe and Readercon Roundup! Yes, this post is late. I got back from Readercon on Saturday night, and proceeded straight from the airport to Postscript, the Toronto Fringe patio/general hangout area. Then we had our final show Sunday afternoon, followed by one last night of Fringing. Monday was mostly naps and lounging, to be honest. I am so very, very lucky in my friends and communities. Fringe first: I couldn’t believe the support given to Six Stories, Told at Night. From the GoFundMe to the general logistical assistance, from everyone who came out to see the show (and some of you travelled a long way, I know!) and everyone who held our hands and told us that everything would be Okay—we’ve been overwhelmed with your kindness. So thank you. Truly, sincerely, deeply—thank you. And then I went to Readercon, where I caught up with wonderful old friends, met amazing new ones, and plunged headfirst into insightful, well-organized programming. Again, I felt swaddled with kindness and care. The writing and theatre communities share a lot of similarities ; this support is certainly one of them. You’re all awesome. That’s my point here. Now, more general updates: there are still some GoFundMe rewards to deliver! Specifically, the Super Secret Magic Seventh Story and Coxwood 2.0. What’s going on there? The seventh story is mostly figured out (in my head, at least). We have a plan for recording it. I just need to write it. Because my 2018 is ridiculous, I have a major deadline on August 1st. I’m trying to write this story alongside that work, but it may need to wait just a few more weeks. But it is definitely on my radar. Coxwood 2.0 is also on my radar, never fear! It’s going to be later in the year, though. Once the ridiculousness of summer dies down, I’ll be reaching out to actors and seeing what sort of cast we can put together. A gentle reminder that it won’t be as long as Season One…but I have some ideas percolating. It’s gonna happen. Don’t fret. That’s it for now, I think. Blythe and I have some loose ends to tie up and some plans to bash out. No rest for the wicked, after all. But we are really, really happy. That’s my other point. The Toronto Fringe has been the most challenging experience of my creative life—but also the most rewarding. I am so incredibly proud of our scrappy underdog play. The reviews speak for themselves! Of course, none of that would be possible without amazing people. 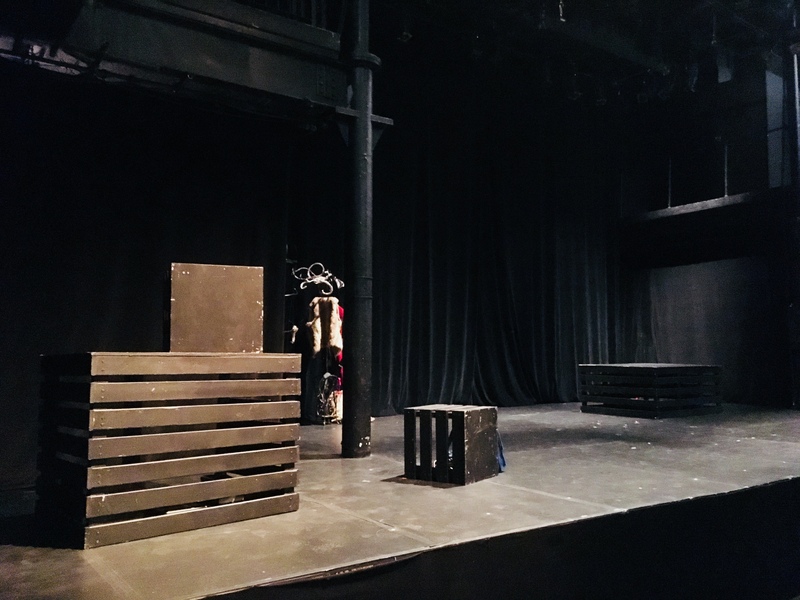 In addition to the love from our community, we are so grateful for the hard work, dedication, and professionalism shown by staff and volunteers at the Toronto Fringe and Theatre Passe Muraille. We literally couldn’t do it without you! And there’s our creative team: cast, crew, and everyone who helped along the way. You gave your hearts and souls to this story, and we couldn’t be more thankful. And of course, my creative partner-in-crime, who’s been with Six Stories from the beginning. In my head, I see Six Stories as a scruffy little waif who runs around punching things. We can’t wait to see where the journey takes us next. A little Lord of the Rings music. I’ll be moving to a hobbit hole soon, so it only seems fitting! Posted on July 17, 2018, in Writing and tagged Community, Cons, creativity, fantasy, Fringe, KT Bryski, playwriting, Six Stories, theatre, writer, Writing, Writing life. Bookmark the permalink. 1 Comment. Congratulations on a great fringe run! I only wish we could have been there to seit!